How much curry can one eat? Well, that was going to be put to the test as I embarked on my 3rd meal in as many nights. This time it was with Miss Y at the Copper Chimney in the Hotel Le Soleil. 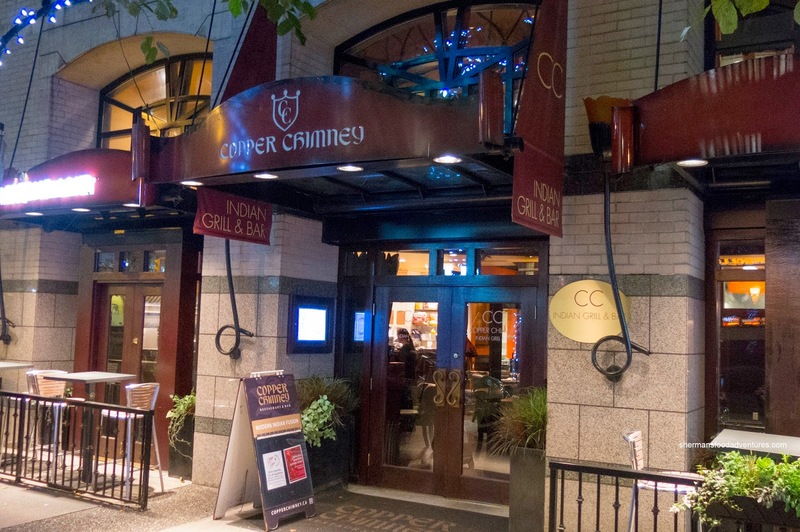 Yah, the place doesn't scream out Indian food from the outside nor the interior decor, but there are indeed Indian chefs in the kitchen. Since they knew we were there to try their entry into the Curry Challenge, it was no surprise the service was top-notch. However, even with that in mind, it was really friendly and attentive. 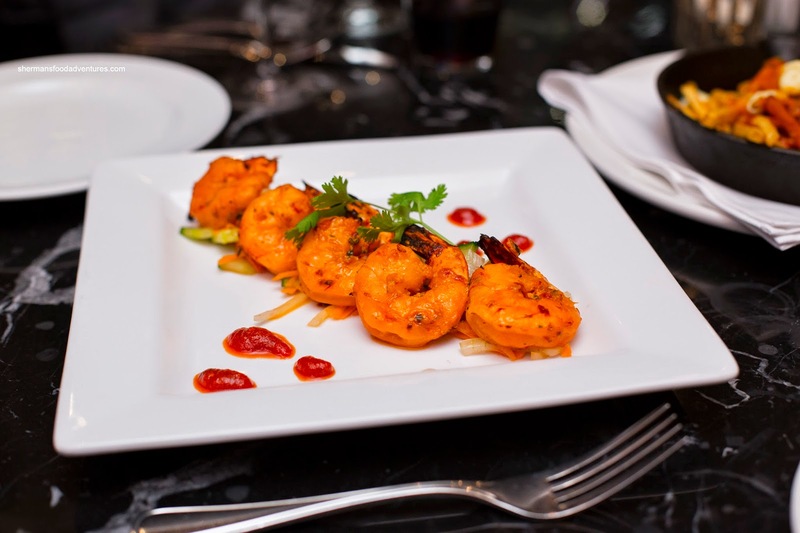 The first dish to arrive was the Tiger Prawn Tandoori with sambal, garlic, lemon juice, cilantro and sea salt. These exhibited a meaty snap with plenty of natural prawn essence. Purposefully spicy and sweet with a charred smokiness, these were not longing for any more impact. However, the sambal added another layer with tartness. The only thing we would've liked to see was less salt. 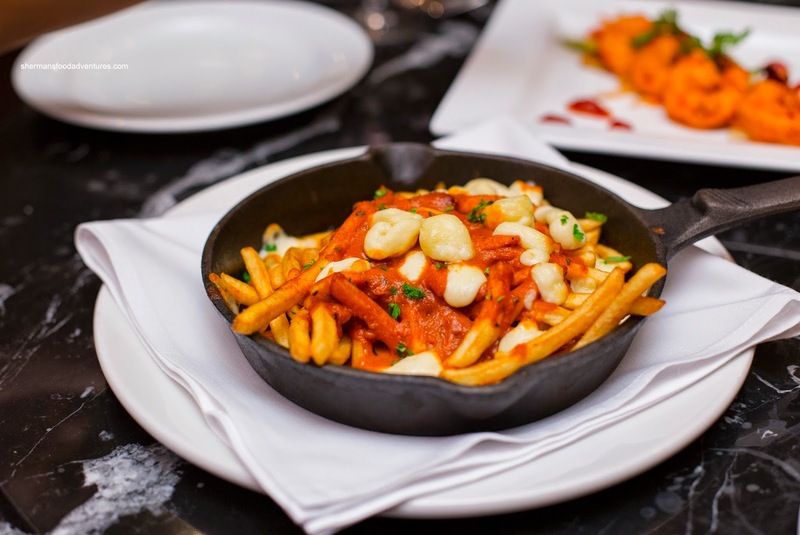 Next up was their interpretation of a Canadian classic being the Butter Chicken Poutine with real cheese curds. Thick and lightly spicy, the sauce was more sweet and tart than creamy. We found the skinny fries a poor fit for the dish though as they became soggy quickly. The cheese curds were squeaky though. 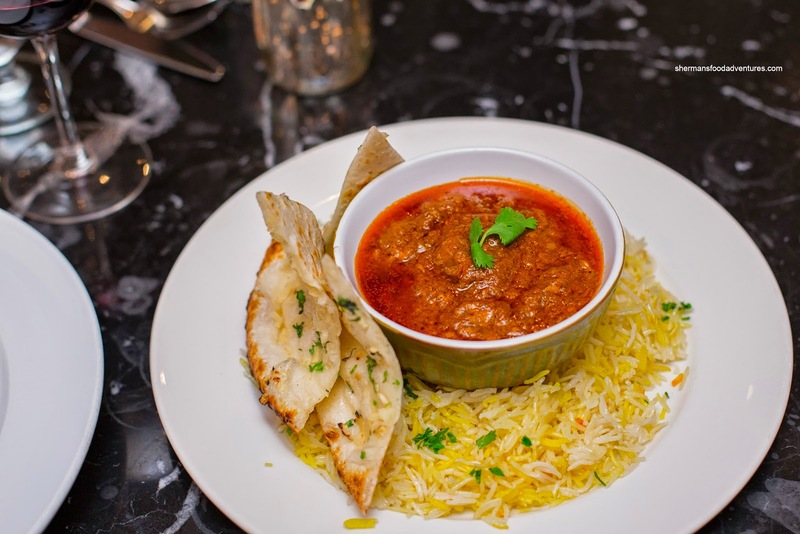 Onto the featured item, we dug into the Goa Spicy Pork Vindaloo served with basmati rice and garlic naan. Even with the use of the famed ghost pepper, the restrained spice level let us enjoy the dish as a whole. Don't get me wrong, it was spicy though with gradual heat with a slight tang. As for the pork, it had a nice rebound texture. we found the naan crispy on its surface while alternating between chewy and fluffy on the inside. 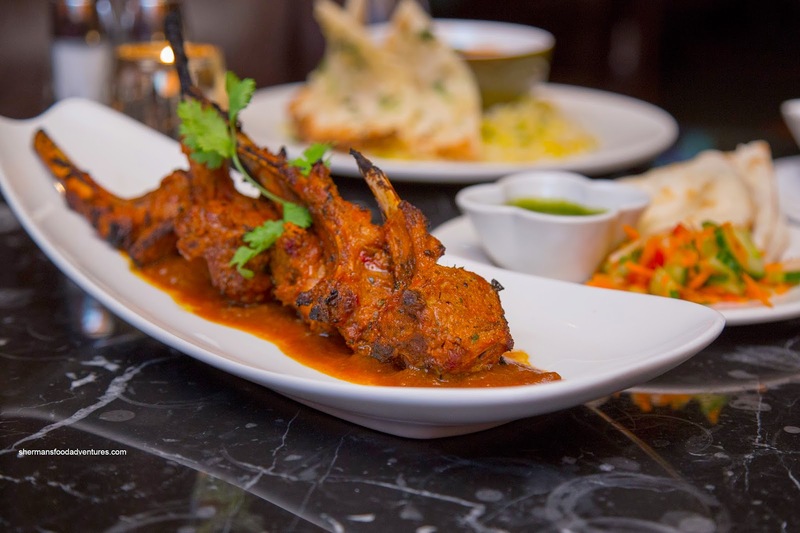 Moving along, we had the Lamb Lollipops with fenugreek yogurt marinade, naan bread, kachumber slaw. Yes, these were their version of Vij's signature dish. Were they as good? Well, let's just say it was different. It was more tomatoey than creamy while the spice level was mild. The lamb itself was tender while not being overly soft. 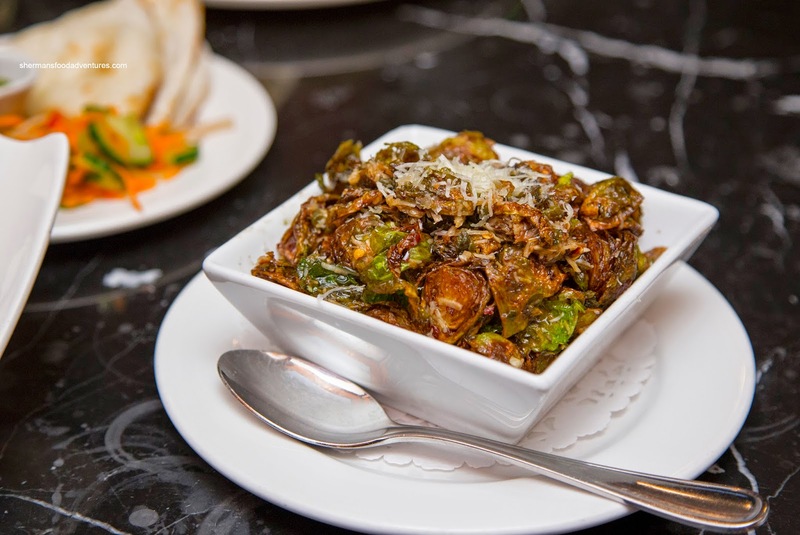 As a side, we ordered the Caramelized Cumin Brussel Sprouts which resembled the Glowbal Group's version but with an Indian twist (being the cumin). These were fried up until crispy while retaining a slight chew. A wealth of flavours emanated from the cheese, capers, lemon and spice. There was also a residual smokiness at the tail end. 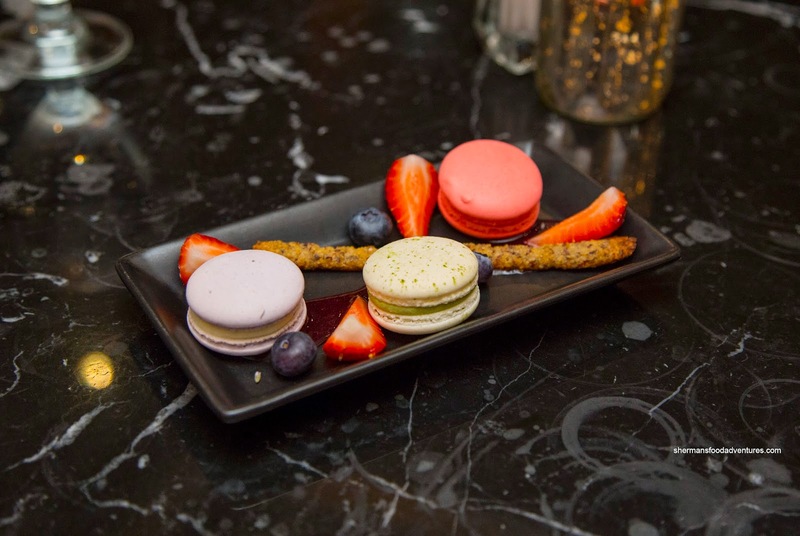 For dessert, we got the Trio of Handmade Macarons (from Soirette). Although not made in-house, they went out and acquired the best-in-town (IMO). So why re-invent the wheel right? From left-to-right, we had the lavender, matcha and raspberry accompanied by a hazelnut stick and berry compote. A lightly crisp outer shell gave way to a soft and marginally chewy interior. The flavours were on point while being only purposefully sweet. This was a nice way to end a relatively decent meal. Naturally, the Indian food we sampled was exposed to some creative interpretation (as in not traditional Indian fare) where it was successful to varying degrees.